We have seen some crazy bikes and their strange abilities in action flicks. Most of us think that they are imaginary and do not exist in reality. But our misconception about bikes will be smashed by some of these amazing high tech electric motorcycles. These bikes packed with superb features are sure to grab your eyeballs if you had not yet known these giants. 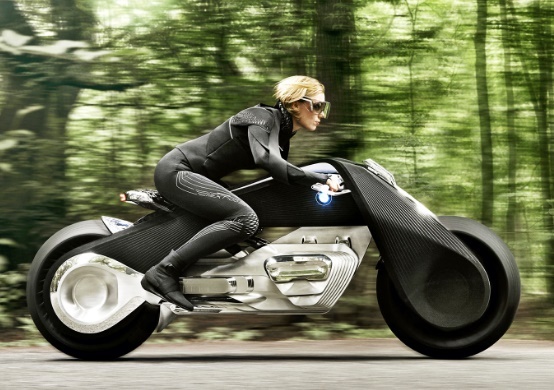 BMW’s Motorrad Vision Next is a perfect match for a super hero from a Hollywood action flick. The bike is dully electric, zero emission gigantic bike. The bika was unveiled in Los Angeles few weeks ago and the humongous bike will grab your attention for its sleek, matte black frame and futuristic style. The bike bears a triangular design much like the customary designs of BMW’s previous models. One of the most amazing feature is its self-balancing capability. Motorrad’s extra-ordinary ability to stand on its own is a new booster to the safety and security of the biker. The self balancing technique is so certain and precise, that BMW says users can ride this bike even without helmets. Light Rider bike has been created by APWorks which is a subsidiary company of Airbus. 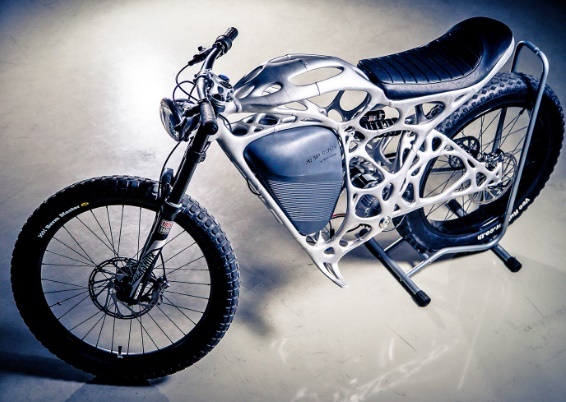 The first thing to know about this bike is that it’s world’s first 3D printed bike. Light Rider yields 37-mile range and a top speed of 50 miles per hour. The look of the bike is unquestionably flabbergasting. Weighing about 13 pounds, the bike weighs 30% less than that of an average bike. It resembles some alien from a Sci-Fi movie and it much transparent in terms of design. 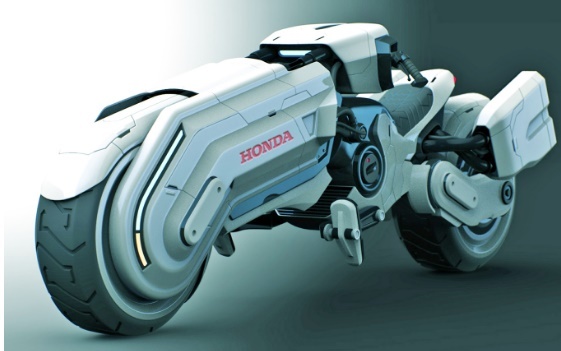 The futuristic high tech bikes will be sold at $56,000. Only 50 bikes will be launched in all. This is another new addition to the list of fantasy bikes. The design and concept is created by designer Peter Norris. Peter Norris works on video games and that is probably the reason why the bike looks wild and fantastic. With the Chopper, Honda has addressed a diferent approach to motorcycling,. In the Chopper, the electric motors are mounted right on the wheels. The giants has a lower center of gravity than that of a standard motorcycle, which makes the bike super stable. Chopper is more a R&D product than a commercial one. The concept of such a highly scintific and modern bike is intriguing. Johammer J1 is an electric bike that promises the highest mileage so far- 125 miles. 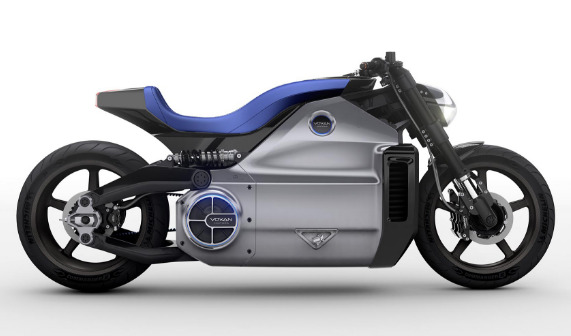 Johammer J1 is capable of conserving more energy than an average electric motorcycle can do. It encloses larger high density batteries for better performance and greater mileage. 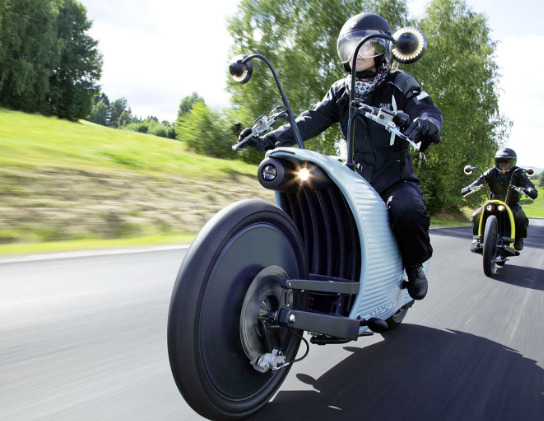 Johammer has been manufactured in very small numbers in Austria, the Johammer J1 runs on high-density batteries created specifically for this all-electric cycle. The e-bike has been sold for $31,860. Voxam Wattman has packed a humongous 12.8kWh battery. The fully electric motorcycle can go from 0 to 60 mph in a mere 3.4 seconds for a quick, emissions-free getaway, thus becoming the world’s most powerful electric motorcycle. The bike was conceptualized and planned for commercial use, but later faced several complications.